New Delhi: In the month of April, singer Mika Singh had allegedly assaulted a doctor during an event. The event was organized by Delhi Optholomogical Society, where during a performance, Mika Singh got angry with something a doctor did or said, and took out his anger on him. Dr Srikant, the doctor in question is said to have suffered from a perforated eardrum and was immediately rushed to the hospital. Delhi Police had registered a case of causing hurt and wrongful restraint against Mika, after a video of the alleged incident had gone viral on the social media. Three months from the said event, the singer was arrested by the Delhi police on 11th June,2015 at the Delhi airport. 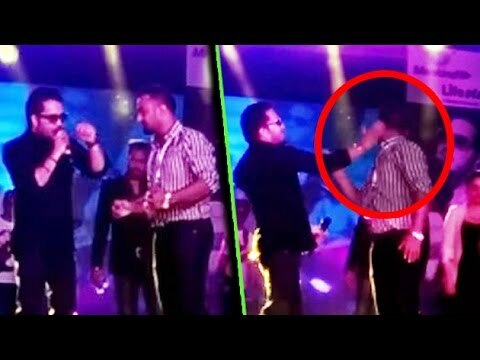 “He came to Inderpuri police station after a notice was served where he was arrested,” a senior officer told PTI, adding the singer was later released on bail as he had been booked under bailable sections. As the doctor fraternity stood united against such an assault of a fellow colleague, many are angry by the almost immediate bail of the singer.